I’m playing stems of a track and want to apply effects like DJ style, but it seems the ONLY one that actually works in this situation is the distortion knob in the FILTER effect. The PITCH and RATE on the Playback page will cause a stem to go out of sync with the others so that’s not useful. None of the EQs, phaser, flanger, chorus, spatializer, comb filter, compressor, lo-fi, delays or reverbs work. I hope I’m wrong here as this would make the OT very limited for what I’m trying to do. So how is one to use Scenes in this situation with barely any effects or parameters to tweak? Does the OT just become an expensive multitrack playback machine for my use? Are you a new user of the OT? If so, I’d suggest you take a little time to read the manual, read merlins guide or watch some YouTube tutorials on the OT to see what it can do. I’ve done all that, but this particular issue hasn’t been covered. OK, so what exactly do you mean, when you say the fx don’t work? If you load, e.g. Dark reverb into fx slot 2 for any of your tracks and turn the Mix knob all the way up, you can’t hear anything? Those FX should all work fine on a track with a static machine. Can you describe your project in a little more detail? I’m saying none of the effects have any effect on any track. I have 4 stems loaded into Tracks 1-4. They’re all static tracks of 5 minute 16 bit wave files (so each track is roughly 50 Mb). I can hear them all fine but unable to apply any effects. I must have screwed up some setting. Maybe. bit wave files (so each track is roughly 50 Mb). Hey there. I just replied to user Python above ^^ who asked something similar. To help us out, could you create a new project and configure just one track with a static machine, and see if the FX work like you expect? How are you listening to the OT’s output? Headphones or the Main Out? Ok I’ll try it tomorrow morning and report back. It’s past 1am here. I’m using the main out into my mixer. Thanks. All FX1 and FX2 work on all machines (Static, Flex, Neighbour, etc…), except delay and reverbs, reserved to FX2. 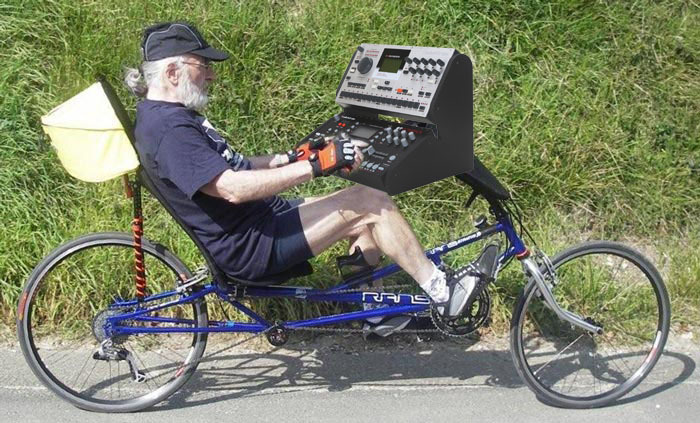 How do you play your samples? If you just preview them with Fn + Enter you may not have fx. (PERSONALIZE menu option). Plock values on scenes could have been an explanation, but not on all fx. You can mute scenes with FN+scene. Does the OT just become an expensive multitrack playback machine for my use? It is pretty expensive yes. I must have screwed up some setting. Maybe. And as mentioned, on OT a new project is good for mental health when you don’t find. Hello peeps. Ok I feel very stupid. Maybe it’s a common feeling with OT newbs. Anyway… I hadn’t used the OT in 2 months and forgot a crucial step: I was just selecting Enter/Yes in the FX menu and not hitting Exit/No afterwards to get to the actual page of the FX slot. Grrr… stuff like this along with the main volume knob only controlling the headphone out makes me wonder what were these guys thinking back then? Now the Digitone… there’s a VERY well thought out piece of gear - my favorite ever! Sorry for the trouble and thanks everyone for your input! “Is my OT faulty?” is a classic. Pretty much all the fx you need to turn up their mix parameters or adjust some settings to do anything even after you load them… You can get angry at the OT if you want but it never actually helps, OTs relentless in that respect, being an inanimate object and all… It gets better as you learn it, just hang in there through the tuff part. It’s definitely not like riding a bike or learning to swim. Unless you’re an expert if you’re away from it more than a month you will forget even some basics. it’s like riding a bike. with 8 wheels. and 24 lfos. You know mine, 8 + 8 + 8 + 16 tracks, 48 + 16 lfos…490 + 512 parameters. You think twice before riding it! Grrr… stuff like this along with the main volume knob only controlling the headphone out makes me wonder what were these guys thinking back then? The volume knob in the left top corner is clearly labelled as “headphones vol”. The reason why it doesn’t change the main out volume comes from the fact that the OT is designed to be a “live performance” machine. During a live performance its very important that you don’t change the main out volume by accident while you need to change the headphones volume quite often. So when you think about it, the headphones volume knob is in a “safe” position and it changes only what you experience and not your audience. Track and main out volume gets controlled by the level knob on the right of the display and it make sense to combine these two functionalities, because both changes what everyone else will hear. [FUNC] + LEVEL changes the main volume. So as summary: They were thinking quite deep and clearly about how to design a live performance machine which has completely other handling/operating requirements than a studio machine.